Heroes of Serbia - Memory Eternal: VIDOVDAN (June 28th) AND THE KOSOVO PLEDGE - What it means for the Serbian people. VIDOVDAN (June 28th) AND THE KOSOVO PLEDGE - What it means for the Serbian people. Aleksandra's Note: History marks the date of JUNE 28 as a day that the world changed forever, and history is not wrong to do this. That June 28th date, however, has a deeper meaning that predates the fateful day in Sarajevo in the summer of 1914. That deeper meaning is about what "Vidovdan" means for the Serbian people and their spiritual and national survival. My thanks to Father Milan Medakovic of Holy Ascension Serbian Orthodox Church in Youngwood, Pennsylvania for this gentle reminder of the significance of Vidovdan. For Serbian people, the Battle of Kosovo has a specific meaning, as it symbolizes the ever going effort to achieve the freedom and independence. The battle did not mean the end of Serbian State that continued for almost another century after the battle, but it was the beginning of epic struggle for survival of our people that lasts to this day. On the eve of the epic battle St. Knez Lazar had a vision from God where he was to choose between a heavenly kingdom and an earthly kingdom. He choose the heavenly kingdom knowing that it would result in the martyrdom of himself and the Serbian people. Before going into battle and martyrdom all of the leaders and soldiers attended the Holy Liturgy and received Holy Communion. 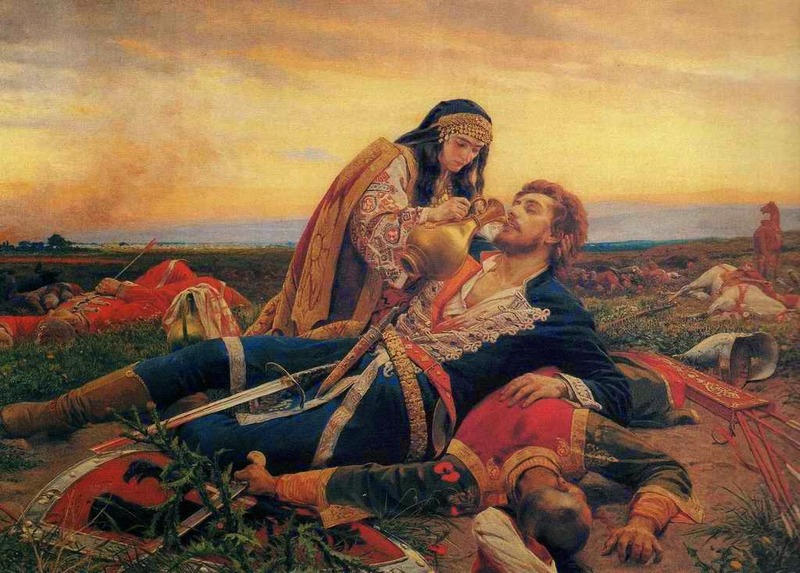 The feast of Vidovdan is a renewal of the Kosovo Pledge for all Serbian people. This pledge is for us the choice once and for all our religious, cultural, ethical, and national identity. The Kosovo Pledge, has been handed down by all Serbian generations for more than 600 years. We as Serbs should live by this pledge. National unity as a condition for our national existence.